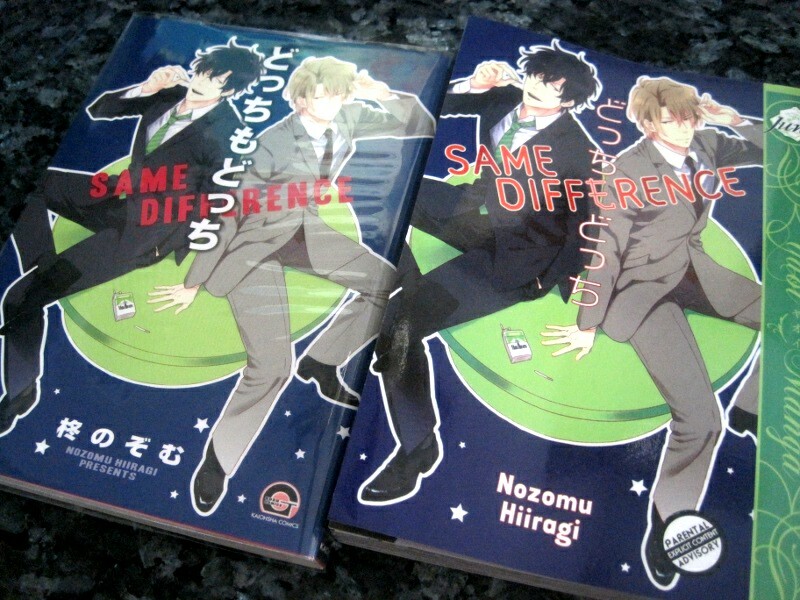 Rejoice, Hiiragi Nozomu just released a new manga! At least I’m crazy giddy about it. Ebihara-san no Iutoori sounds like more Hiiragi Nozomu genius for us to bask in. If you’re not familiar with her work, that must be fixed! Stop by my Oyajina! 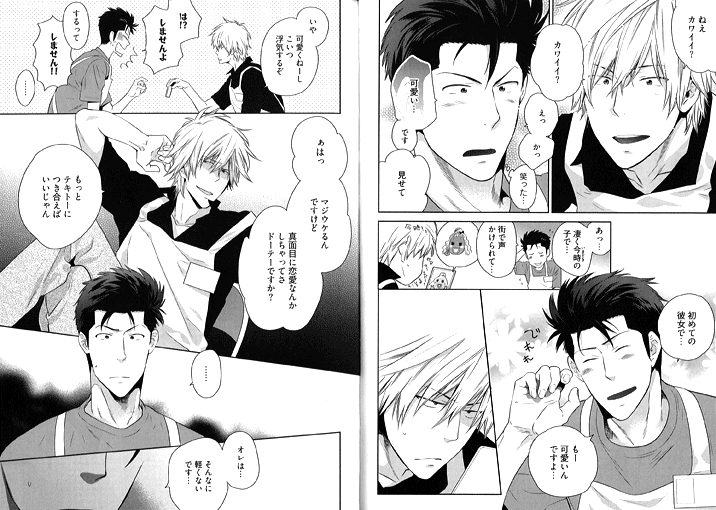 and Docchi mo Docchi manga previews and wallow in her greatness. 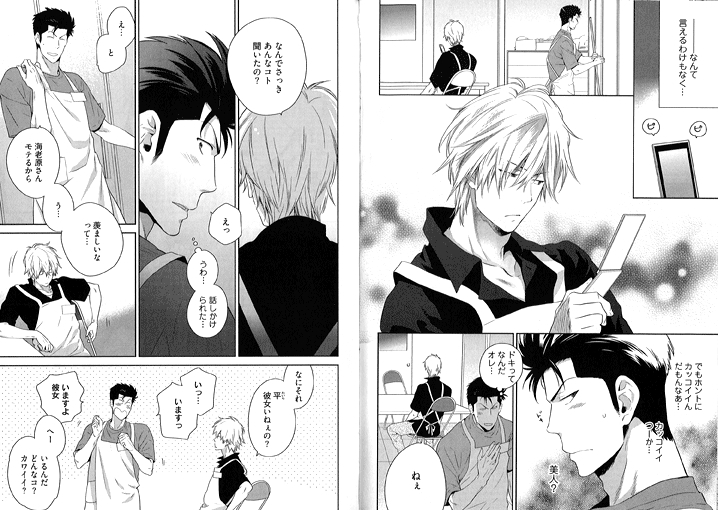 ♥ For now, let’s take a peek at the premise of the manga. Taira works part-time at a convenience store with his senior, Ebihara. Taira just can’t get along with Ebihara. He’s a blunt, yet good-looking guy who effortlessly attracts lots of attention from many different female customers. 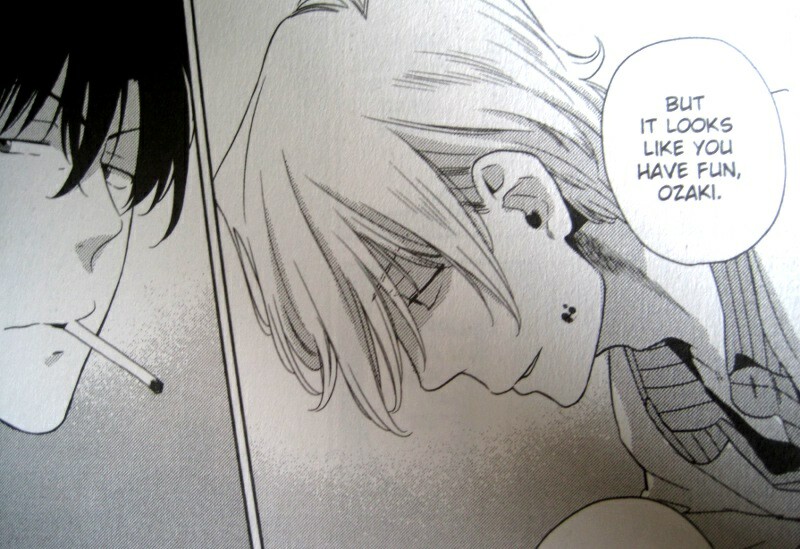 Taira is the serious kind of guy who stays loyal to a single girl, thus it’s impossible for him to relate to Ebihara. 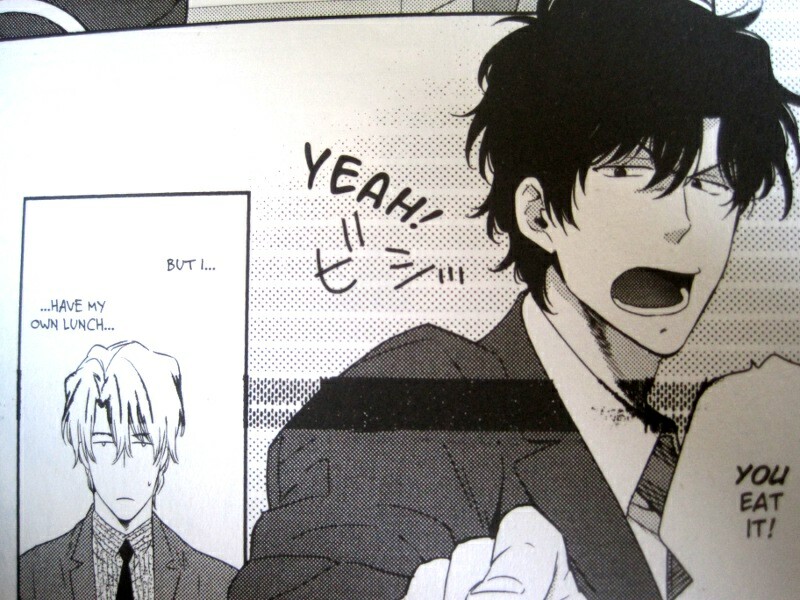 After scolding Ebihara’s ways one day, Taira inadvertently stirs those powerful pheromones…? Between this and Silver Diamond 24, I’ve been needing to place a modest order. I can’t wait! There’s just a few preview pages available, but enough to send me into a wild frenzy. It’s a battle of pride and willpower for the top! 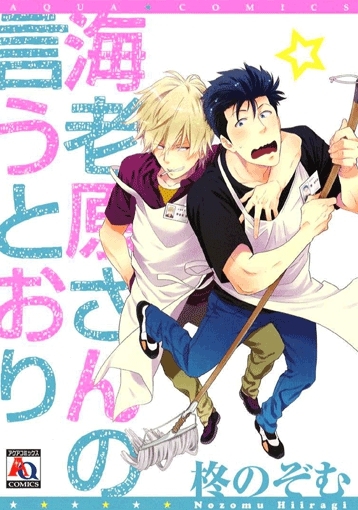 Docchi mo Docchi (Same Difference) is Hiiragi Nozomu’s newest manga and it contains what she does best: silly and terribly cute BL. 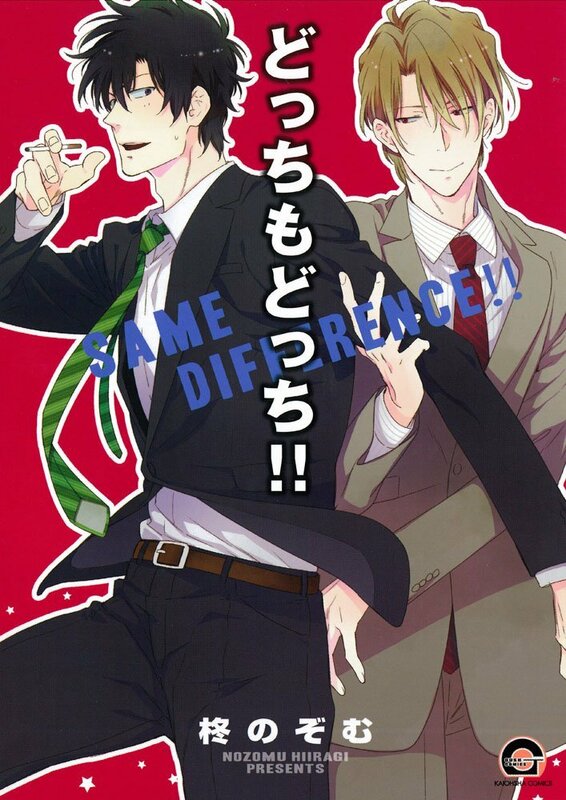 Docchi mo Docchi is a “seme vs. seme” setup with two strong wills battling for control: not only against the other guy, but also their own feelings about the situation. Two normally mature, elite businessmen lose their composure while trying to dominate the other, just to prove who’s top dog. So who will fall first and is he really the loser?